The Constitution is the founding document of the United States. Yet ever since the process of ratification, the document’s meaning—and questions about who gets to decide its meaning—have spurred pitched political battles, campaigns for elected office and social change, and arguments among ordinary voters from all walks of life. Americans have debated the question of what the Constitution means in courtrooms and legislatures, at lunch counters and on picket lines, outside medical clinics and in schools. Studying the Constitution in the twentieth century means learning about how law, society, politics, and culture all interact. In the process of studying the meaning of the Constitution throughout the twentieth century, the course looks at how we remain integral parts of the process of constitutional change today. Melvin I. Urofsky is a professor emeritus of history at Virginia Commonwealth University. Professor Urofsky received his BA and PhD from Columbia University and his JD from the University of Virginia. He has held fellowships and grants from the National Endowment for the Humanities, the American Council of Learned Societies, the Virginia Foundation for the Humanities, the American Historical Association, and others. 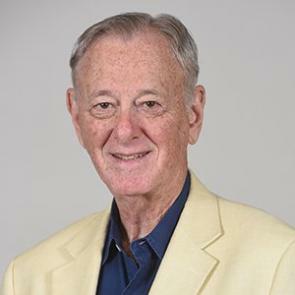 Among the fifty-two books he has either written or edited, Urofsky’s Louis D. Brandeis: A Life, published in 2009, won the Jewish Book Council’s Everett Award as the Book of the Year and the Griswold Prize of the Supreme Court Historical Society. His latest work is Dissent and the Supreme Court: Its Role in the Court’s History and the Nation’s Constitutional Dialogue (Pantheon, 2015).